Bespoke built-in library and Integrated rolling ladder with concealed wheels. This fixed-shelf cabinetry was carefully designed to hold specific objects and books. 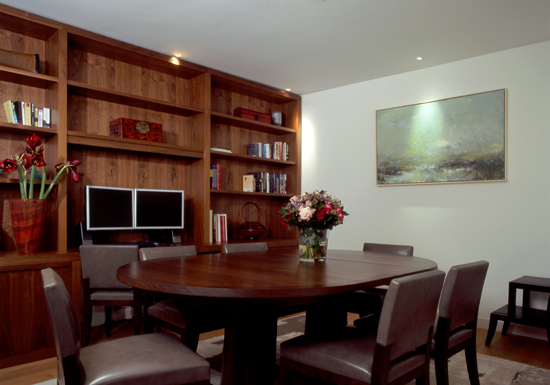 were designed, built and installed in this private London residence. Chest of drawers, shelving, drawers, storage and wardrobes, lacquered finish. Frame and panel design with inset mirror and hallway display shelf, lacquered finish. Commissioned for a private residence in London. Chest of drawers, shelving, drawers, storage and wardrobes, lacquered finish. Commissioned for a private residence. Commissioned for a private client residence in London. Fixed shelving for varying book heights and TV alcove, commissioned for a private client in London. The four pieces in this suite of furniture are made of American black walnut, with a natural finish. 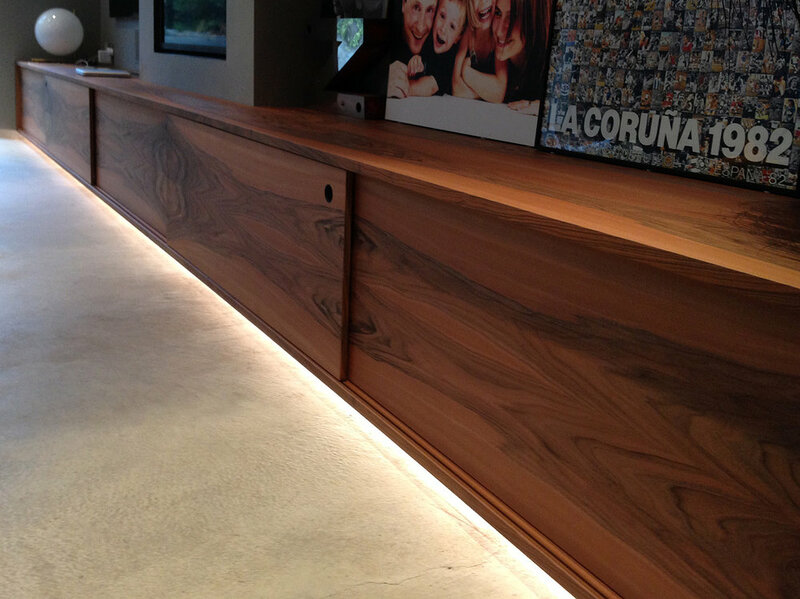 Commissioned by CardenCunietti for a private residence. This library cabinetry fits snugly into the space next to the fireplace, wrapping around to completely fill the adjoining wall. The walls and library paint have been matched, creating a seamless colour scheme across the walls and shelving. Commissioned by CardenCunietti for a private residence.